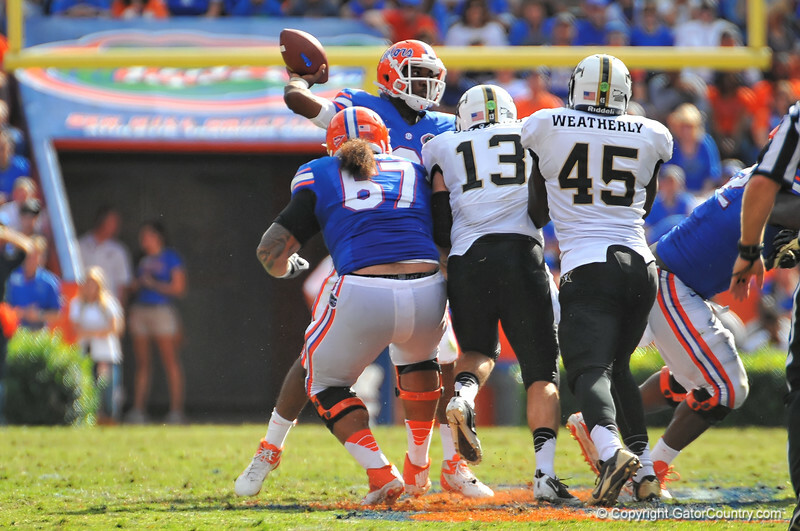 Florida's Homecoming football game vs the Vanderbilt Commodores. November 9th, 2013. Florida Gators vs the Vanderbilt Commodores. Homecoming Weekend. November 9, 2013. Florida Gator QB Tyler Murphy throws across the middle to an open Quinton Dunbar in the third quarter. Florida Gators vs Vanderbilt Commodores. Gainesville, FL. November 9, 2013.